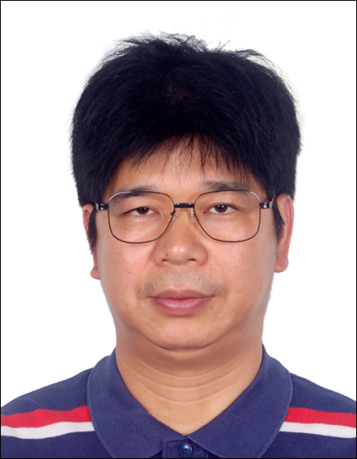 Dr. Naijun Zhan is a research professor at State Key Lab. of Computer Science, Institute of Software, Chinese Academy of Sciences. He obtained PhD in computer science from Institute of Software, Chinese Academy of Sciences in 2000, and Ms.c in computer science and Bs.c in mathematical logic both from Nanjing University respectively in 1996 and in 1993. Prior to join Institute of Software, Chinese Academy of Sciences, he worked at Faculty of Mathematics and Informatics, University of Mannheim, Germany from 2001 to 2004. He is a distinguished research professor of Chinese Academy of Sciences (since 2015), the winner of Outstanding Youth Fund of Natural Science Foundation of China (2016). His research interests include: formal techniques for the design of real-time and hybrid systems, program verification, modal and temporal logics, concurrent computation models, semantic foundations of component and object systems. a) The tool MARS (Modeling, Analysis and veRification of hybrid Systems) can be downloaded from here. b) The Theorem Prover for HHL can be downloaded from here. c) The case study of high-speed Chinese train control system can be downloaded from here. • Master thesis: Pi-calculus and its application, Nanjing University, June, 1996. • PhD thesis: Higher-order Duration Calculus and Its Applications (in Chinese), Institute of Software, Chinese Academy of Sciences, June, 2000.
. 2018.1-2022.12, “Theories and Tools of Automated Theorem Proving for Program Verification”, a key project funded by Natural Science Foundation of China.
. 2017.1-2021.12, “Formal Design of Complex Safety-Critical Embedded Systems”, Outstanding Youth Fund of Natural Science Foundation of China.
. 2015.1-2016.12, “Consistency checking between different phases in the design of embedded systems”, a key project in the context of “Trustworthy Software Plan” initiated and funded by Natural Science Foundation of China.
. 2014.1-2018.12, “Theories and Tools for Dependable Safety Critical Systems”, a CAS/SAFEA “International Creative Team” project.
. 2014.1-2018.12, “Construction and QoS of Safety Critical Systems”, a “973” project funded by the Ministry of Science and Technology.
. 2012-12.2015, “Theories, Tools and Development Environment for Spacecraft Embedded Systems”, a grand project in the context of “Trustworthy Software Plan” initiated and funded by Natural Science Foundation of China.
. 9.2009-8.2014, “Outstanding youth fund of Institute of Software, Chinese Academy of Sciences”.
. 2009.1-2012.12, “Refinement, Coordination and Glue of Software Components”, funded by Natural Science Foundation of China.
. 2008-12-2011, “Component-based Methods for Embedded Systems”, a key project of Natural Science Foundation of China.
. 2008.1-2010.12, “Verification and Analysis of Embedded Software Based on Computer Algebra”, a key project in the context of “Trustworthy Software Plan”, initiated and funded by Natural Science Foundation of China.
. 10.2005-9.2008, “Applying Symbolic Computation Approach to Formal Methods”, funded by Natural Science Foundation of China.
. 11.2004-10.2007, “Innovative Group on Formal Methods”, coordinated by Prof. Lin Huimin, funded by Natural Science Foundation of China.
. 2008.1-2011.12, “Component-based Design, Verification, Analysis and Tools for Dependable Embedded Systems”, a key project of Natural Science Foundation of China. I’m looking for motivated PhD students and postdocs, if you are interested in my work and would like to join us, pls don’t hesitate to contact me!